Everyone has that one lost recipe in their family. For me it’s two. You know the one, so and sos great great mother’s mother on your father’s side… and sadly the recipe was lost when she passed away. Back then no one wrote anything down or measured. It was all by feel of the dough, pinches and dashes, handfuls and taste, and sadly is now a lost art. 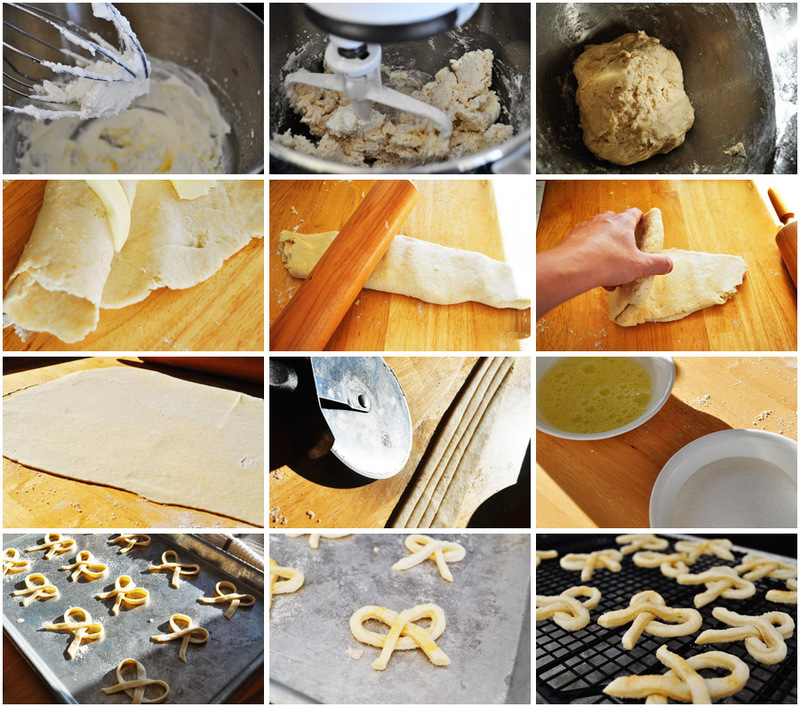 So let me give you a little history on the Butterdejgs Kringler recipe. My grandmother used to make these little Danish pastry cookies for Christmas and with her passing the recipe was lost. My mother and I have tried in vain to recreate the recipe with FoodNetwork knockoffs, Epicurious, AllRecipes, you name it, I’ve searched for it online. Now Kringle or Kringler can be confused with a coffee cake type recipe that uses yeast and cardamom and this is NOT that recipe. This recipe is a light flakey almost pie dough like pastry cookie and has many slightly different variations. It is important that everything be kept cold. Whip the cream. Stir into 1 1/2 cup flour (Using the other 1/2 cup for rolling and pounding out the dough.) Roll out dough on cold bread board. Slice the cold butter and lay on the dough. Roll up dough and start pounding flat with cold rolling pin. Fold over again and again, pounding each time until all the butter has disappeared and small bubbles appear on the dough. Let dough rest in refrigerator two hours. Divide dough in two, roling out one part at a time, “As thin as a straw.” as they say in Danish. With a cookie wheel or knife, cut into long strips 1/2 inch wide and 12 inch long. 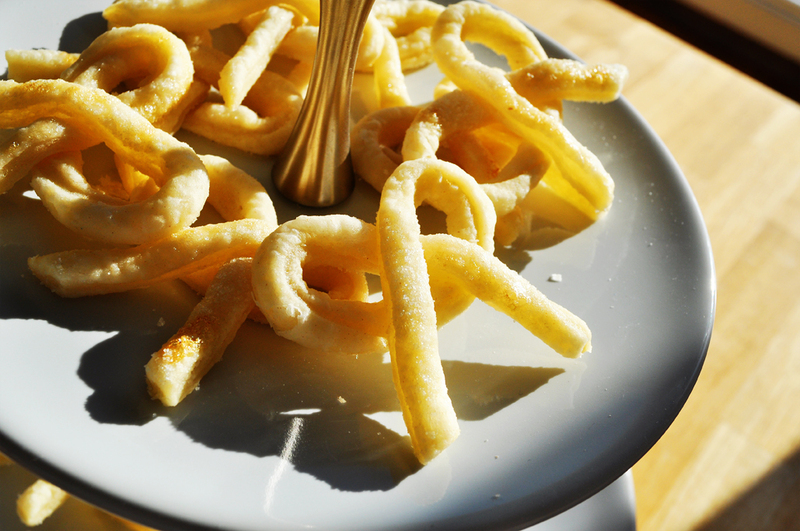 Shape into pretzels or ribbons, dip in sugar gently, or spread with beaten egg white and dip in sugar. Place on ungreased, COLD cookie sheet. Bake at 400 degrees F. until very light brown. The milk of human kindness should never be bottled up. They are delicious! Although not father approved, my daughter approves. April, I’ve been doing the EXACT same thing this Christmas, digging through some of my grandma’s old cookbooks, searching for her recipe for blood sausage and some other Norwegian favorites. Congrats on finding your recipe and they look amazing! Doesn’t it drive you crazy? The next recipe I need to find is the famous lost cinnamon roll recipe. I’ve almost given up on that one! Soooo many variations! Grandma Iva would be so proud of you. Pounding the crap out of buttered dough was emotionally fulfilling. I can see why she made them. Also, when Casey first tried one, he was like eh, they are okay, then he had like 5 more, and realized that they became an addiction. You actually couldn’t stop eating them! You need to make them for Dad, I’m absolutely positive that it’s the right recipe.